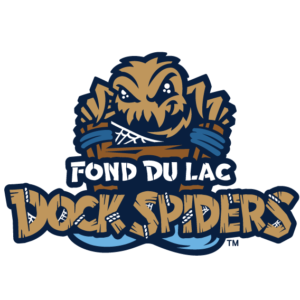 The expansion Northwoods League franchise in Fond du Lac has announced a new name: the Fond du Lac Dock Spiders. The Dock Spiders will join the summer collegiate circuit for the 2017 season, playing at Marian Unviersity’s Herr-Baker Field. 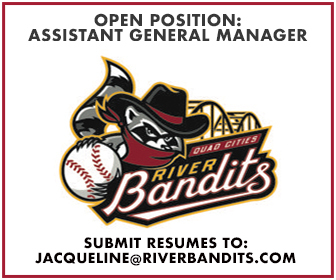 The process started with over 800 names submitted from the Fond du Lac area. The list was narrowed to five finalists for a fan vote with Dock Spiders beating out Barn Owls, Lake Flies, Pipsqueaks, and Shantymen. Team merchandise featuring the new logo is currently available for pre-purchase at the team store on www.dockspiders.com. The Dock Spiders’ look was brought to life at Brandiose in San Diego by partners Jason Klein and Casey White, who have dreamed up top selling logos for the El Paso Chihuahuas, Lehigh Valley Iron Pigs, Cincinnati Reds, and many other teams. The development process began this summer when Jason and Casey met in Fond du Lac with fans, staff, and community members to learn about the stories, history and personality of the community. Brandiose developed the logos and uniforms and is dreaming up enhancements for the new ballpark experience.